Home › 2018 › Set up your own micronation for fun and profit! Set up your own micronation for fun and profit! We live, as the Chinese allegedly say, in “interesting times” or as internet memes would have it, in that bit of history labelled in school textbooks as ‘Factors Leading Up To…’ and followed by a section which involves maps with lots of red arrows. In such times, it’s only natural for people to want to shut the door on the world and hide. But how can you do that when even your own country doesn’t feel like your country anymore? Well, the answer is simple: set up your own country. It’s easier than you think and, as long as you have a loose attitude to international law, you’ll probably get away with it. For a bit. Micronations are the best place to start. A starter country, your first step on the international property ladder. Depending on your budget, you can set one up for less than the price of a house. And your country doesn’t have to be any larger than a house. The micro-micronation of Lovely, for example exists only in a single East London flat. You may decide that physical size is utterly unimportant and make your nation an entirely virtual one. Wirtland is an internet-based micronation. Founded in 2008, Wirtland exists as, essentially, a website and a set of ideals. It is run by a chancellor and describes itself as a constitutional democracy. Want to become a citizen? Well, you can send an e-mail of introduction to web@wirtland.com and ask to become one of its Witizens (that’s what they are called). It has a currency, the International Currency Unit (ICU) and it has minted a number of coins. You can purchase a 24 carat gold ‘crane’ coin from the country’s website. Micronations are a means for their leaders and residents to make money. Micronations across the world have successfully sold stamps, coins, passports and even aristocratic titles. You can become a lord or lady of Sealand for a mere £29.99. However, some micronations have given the rest a bad name by having been set up with the evident intention of duping gullible foreigners (i.e. everyone else) out of their money. 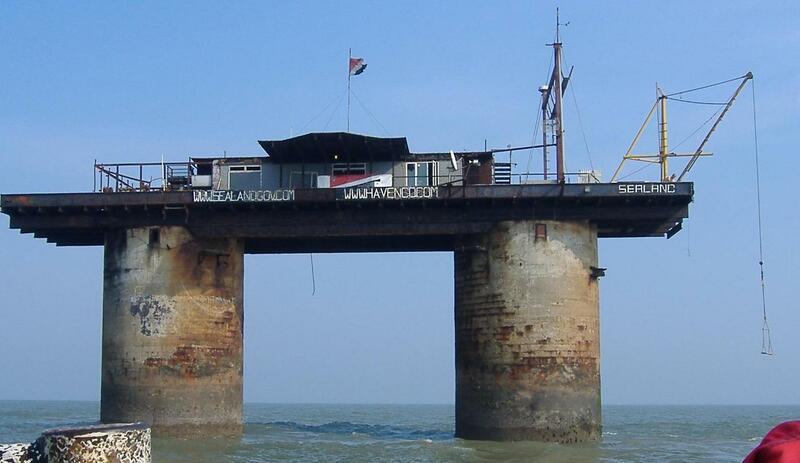 Sealand! – who wouldn’t want to be lord or lady of this place? Soon after being set up on the Colombian island of Malpelo (before going on to claim the semi-permanently submerged Karitane Shoal plus a couple of islands and an uninhabited atoll), the Dominion of Melchizedek started selling licenses for banks and other companies which then tried to secure loans from real banks around the world. It’s a decent enough fraud scheme: make up a place, pretend to live there and use the address as a base of operations to borrow money. The debt collectors and bailiffs would be deeply unlikely to bother coming looking for you at your made-up address on your submerged island. But if dodgy dealings are your plan, don’t stop there. Be sure to sell useless insurance policies backed by your made-up banks and do get as many possible people to invest in hopeless Ponzi schemes and see how much money you can amass before government agents realise what you’re up to (a bank registered in the Dominion of Melchizedek conned 1,400 people out of four million dollars which would certainly pay for some damp-proofing in your mostly submerged bank vault). But don’t be thinking that micronations are all underhanded and dodgy affairs; many come into existence because a person sees a new opportunity. The Principality of New Utopia was founded in 1999 when US businessman Howard Turney discovered there was an unclaimed plot of land in the Caribbean Sea. Though it was tiny, Turney laid claim to it, applied for nation status (the UN’s address is on their website) and launched the New Utopia project. Like so many founders of micronations, Turney changed his name and became Prince Lazarus, naming himself after the Robert Heinlein character, Lazarus Long. He then embarked on a creating a new society built upon libertarian ideals and the pursuit of personal immortality. That’s actual immortality, folks – he had been injecting Human Growth Hormones for years in the belief they would stop him ageing and it seems part of the reason for founding New Utopia was to enable him to continue injecting himself with these hormones without running foul of US law. Do you fancy shipping out to a tropical hyper-capitalist utopia where you can lounge in the luxury spa all day, gamble in a Monte Carlo-inspired casino at night and know that your country is safe in the hands of an Ayn Rand-loving immortal? Well, you can’t. Lazarus Long died in 2012, aged 80 and New Utopia’s wondrous resorts aren’t yet open for business. If you are sick and tired of the interfering nanny state telling you what fraudulent banks you can set up or what you can inject into yourself, setting up a micronation does seem an ideal solution. However, unclaimed parcels of land (above or below sea level) are few and far between these days. Perhaps if you want to set up a physical micronation in unclaimed space then maybe that’s where you need to go – space! The Space Kingdom of Asgardia, which wins the prize for the coolest micronation name if nothing else, is a proposed nation which will exist entirely in outer space. It’s not a total fantasy. It has its first orbiting satellite already up there, although if you want to visit Asgardia-1, you might need to call ahead first. Nonetheless, if we accept it as a nation, it is the only country to entirely exist in orbit. It has over two hundred thousand applicant citizens but, currently, none of them actually live in space. Space law (that’s a real thing!) is a complicated beast and Igor Ashurbeyli, who is currently bankrolling the whole project, might have trouble in both getting his country recognised and in avoiding legal entanglements with countries who already have assets in space. Nonetheless, he will probably have fewer barriers to his dream than one James Mangan who, in 1949, set up the Nation of Celestial Space and claimed all of space. That’s just greedy! In our latest novel, Hooflandia, Jeremy Clovenhoof has much more modest ambitions. He has set up his own independent state in the local pub. Yes, he might have done this to avoid settling an unfortunately large tax bill he’s been given but that doesn’t mean his country hasn’t been founded on strong moral principles. He’s overturned the old adage that you can’t eat money by making his coins from compressed soup-powder and he’s advanced women’s rights by appointing the world’s first female archbishop. Everyone’s welcome and we invite you to come on in! Some examples of micronations and breakaway countries and the reasons for their creation. 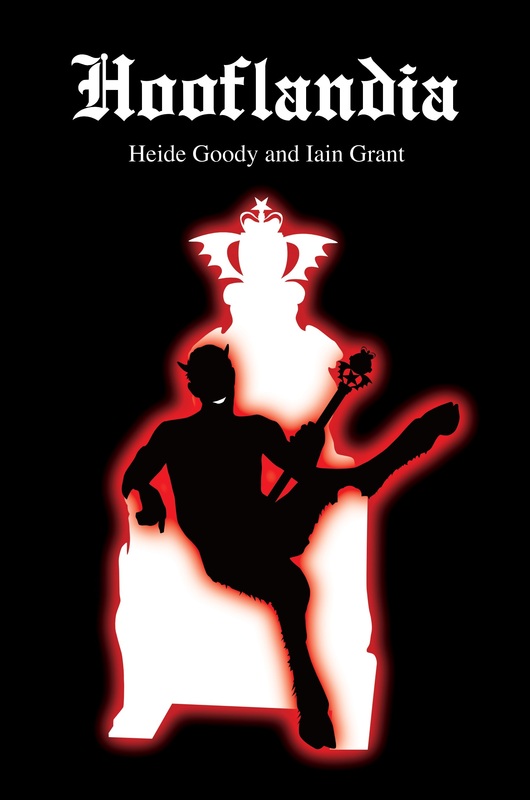 ‹ Has humorous fiction lost its fizz?